South Carolina’s Atlantic coastline is a popular playground for travelers from all over the United States. Whether you are searching for a peaceful beach or a destination with a variety of entertainment options, the beaches in South Carolina will not disappoint. 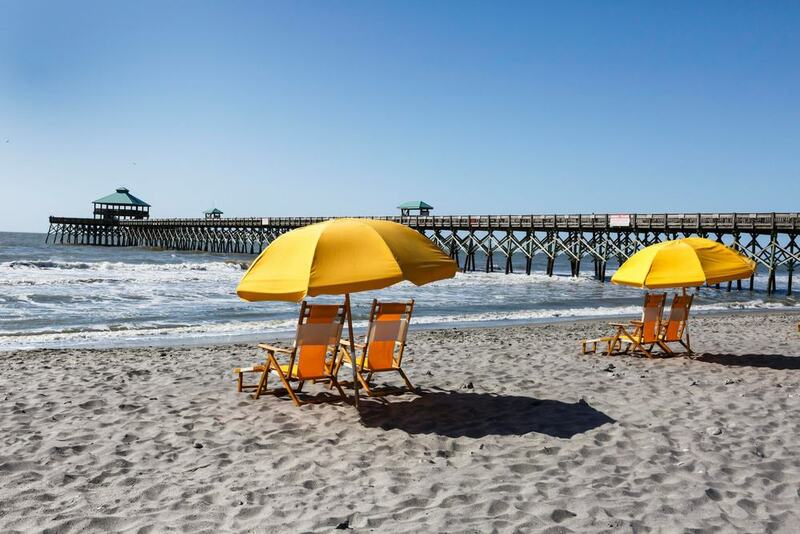 You can head out to some of the most well-known beach destinations such as Myrtle Beach and Hilton Head or explore the surrounding area and find secluded beaches with amazing views of the Atlantic Ocean. Some vacationers like pristine family-friendly beaches with lifeguards and facilities, while others prefer unexplored destinations with little civilization around. 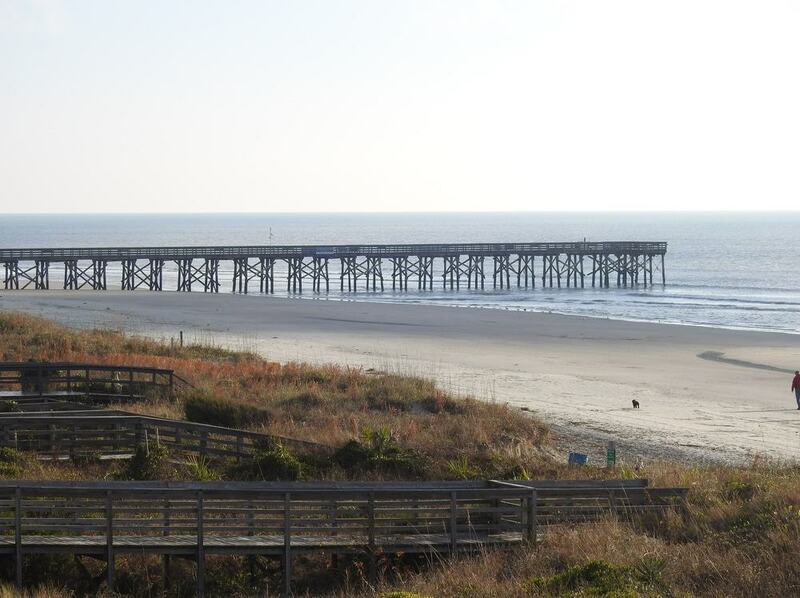 One of the most famous beaches in the state of South Carolina, Folly Beach is a popular destination for watersports including surfing, kayaking, and boating. There are even several boat tours available for those who wish to explore the picturesque area. Must-see sights include the Edwin S. Taylor Fishing Pier that features a vibrant local scene and the Morris Island Lighthouse. One of the most popular activities among locals here at Folly Beach is definitely fishing, the whole area is perfect for river fishing, deep-sea fishing, and pier fishing. After a day spent on the beach, head out to Center Street in this small beach town that features dozens of local restaurants, shops, and bars. For accommodation options, vacationers usually stay in rental homes or privately owned villas. 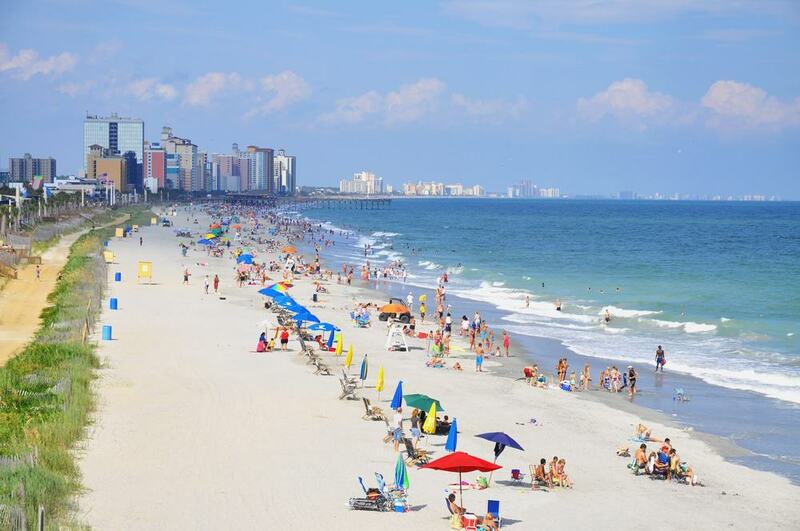 A perfect spot for a family vacation, Myrtle Beach actually consists of several long beaches which are packed with many tourists throughout the year. It is probably one of the most visited beaches in the state and the water is welcomingly warm during the summer months. Water activities such as jet skiing, paddle boarding, scuba diving, surfing, and parasailing are quite popular here. You will also find several spots along the beach that are perfect for swimming. Families with kids will love the nearby family Kingdom Amusement Park and Ripley’s Believe It or Not Museum. In case you are planning to do some shopping in the area, Tanger Outlets and Barefoot Landing are easily reachable. Along Kings Highway you will find a variety of seafood buffet restaurants, but delicious local food can also be found on the 1.4-mile long Myrtle Beach Boardwalk. Myrtle Beach is well-known for its 50 mini golf courses! Located just a short drive from downtown Charleston, Isle of Palms can be best described as an upscale resort area which was originally a recreational playground for the rich and famous. This perfect gateway houses nearly 3,000 acres of beaches, parks, and homes. Expect to find dozens of luxurious hotels, a large golf course, and a community of rental homes and condos which are located directly on the beach. Front Beach is one of the most popular destinations in the area. It is ideal for activities such as swimming, sunbathing, and building sand castles. Head to the County Park and you’ll find a nice family beach with facilities such as restrooms and showers. If you wish to explore the island, it’s best to use a golf cart, but you can also rent a moped or bicycle. There are many amazing festivals throughout the year, so visitors have plenty of entertainment opportunities at the Isle of Palms. Full of pristine beaches and spacious parks, Hilton Head is one of the best vacation spots on the East Coast, with a total of 12 miles of coastline. The whole island was built to accommodate vacationers, so it’s quite easy to get from one place to another. It’s easy to find many restaurants, bars, and family-friendly entertainment, while water lovers can enjoy activities on the beach such as swimming, paddle boarding, boating, sunbathing, fishing, and surfing. 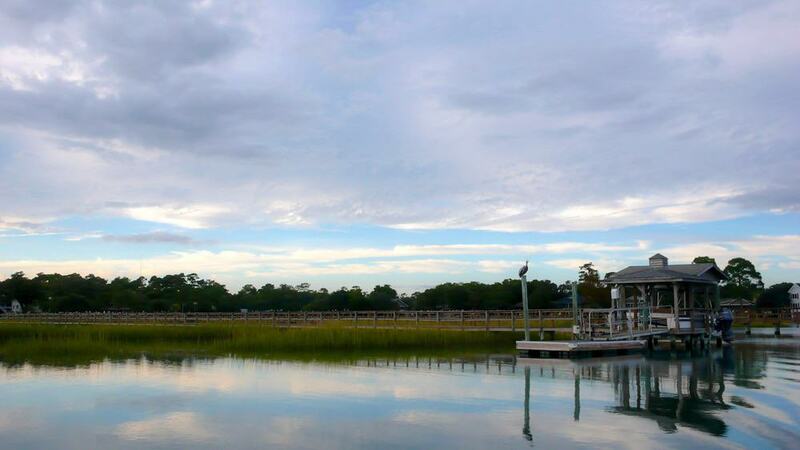 Besides chilling on the beach, you can also play a few rounds of golf at Hilton Head’s dozens of amazing golf courses. Shopaholics will be happy to hear that there are several shopping centers on the island where you can find locally owned stores. If you are looking for a place to stay, the options are endless. You can stay in a rental home with a swimming pool or book a room at a luxurious 5-star hotel. Keep in mind that you won’t find many hostels and other budget-friendly accommodation option here in Hilton Head. 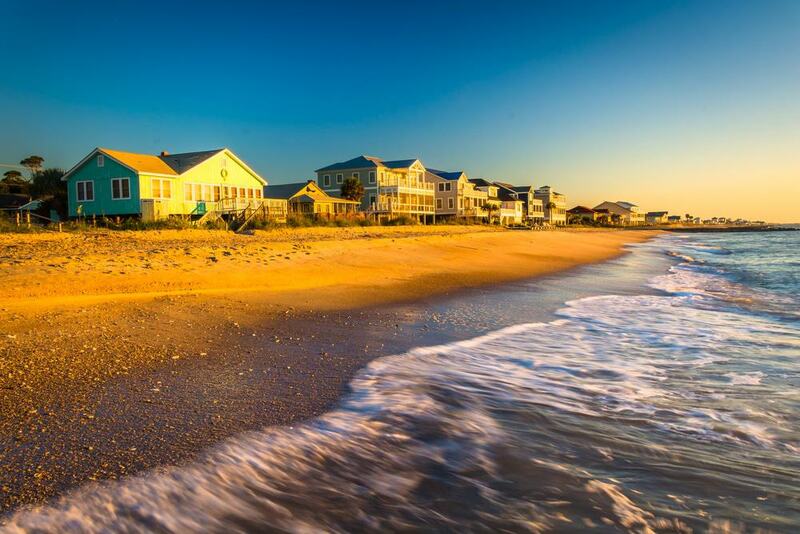 Situated in one of the most peaceful beach towns in the state, Edisto Beach is probably one of the last non-commercialized spots in the region. It’s a perfect destination for single travelers, families, and romantic couples on their honeymoon. Expect to find cute vacation rentals, super-fun attractions, and nice restaurants. There is also plenty of space for camping, fishing, and playing golf. Swimming is permitted at Edisto Beach, but you enter at your own risk as there are no lifeguards here. When it comes to fine dining, head out to Fins Restaurant & Bar that is located on the former pier or check out the lovely Whaley’s Store, a place that is popular among locals. Vacationers can also take a boat tour and enjoy spectacular views of the coastline, while adventurous travelers can go on a guided kayak tour or join a fishing excursion. If you are into hiking, Edisto Beach State Park is home to the Swamp Moss Nature Trail. 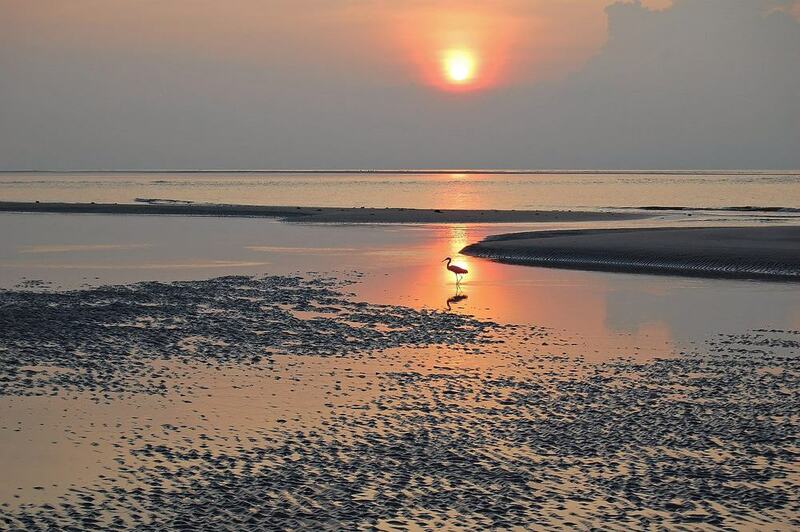 Sullivan’s Island is located just a 20-minute ride from Charleston and offers a perfect beach destination for families who wish to get away from all the hustle and bustle of the city, while spending a nice summer day on one of the beaches. You won’t wind any beachfront developments here and there are no restrooms or other beach facilities. Most of the coastline is kept in its natural state and offers only simple activities such as swimming or building sand castles. To find free street parking it is advised to arrive early in the morning. Famous for its natural beauty, Kiawah Island is located a short drive from downtown Charleston and attracts large crowds of both tourists and locals. It is a popular beach destination for couples, families with children, and single travelers. Some of the main attractions on the island include the lovely Maritime forests, preserved marshes, and rolling sand dunes. If you are into golfing, Kiawah Island Golf Resort is home to one of the best golf courses in the state of South Carolina. Unfortunately, there is only one public beach on Kiawah Island, it is located on the west end of the island and offers only swimming as an activity. You will find restrooms, snack bars, outdoor showers and lifeguards are present during the summer season. Kiawah Island is also pet friendly providing dogs are kept on a leash at all times. Why not add sandy Beachwalker Park to your places to visit here, which is located between the Bohicket River and the ocean. Hunting Island State Park is situated just a one-hour-drive from Hilton Head and is home to one of the best family beaches in the state. A 5000 acre park, including an amazing camping area, Hunting Island State Park is one the most peaceful beaches in the region, offering plenty of activities such as boating, fishing off the pier, visiting the only accessible lighthouse in South Carolina, and walking on several hiking trails. If camping doesn’t get you excited, then you can always head out to Beaufort and rent a Bed and Breakfast. Downtown Beaufort features cute cobblestone streets, several galleries, and clothing shops. Go to the Henry C. Chambers Waterfront Park for amazing sunset views across the ocean or take a walk along the Henry Robinson Boardwalk at Sands Beach. A historical fishing town located just a short drive from Myrtle Beach, Murrells Inlet attracts plenty of adventurous travelers, artists, and all types of outdoor enthusiasts. You won’t find many facilities on the beach here, but if you are looking for a nice natural setting and wish to get away from large crowds of tourists, Murrells Inlet should definitely be included on your list of places to visit while on vacation in South Carolina. There are several entertainment venues, shops, and restaurants in the center of this small town. You will also find a number of annual events to celebrate the holidays. 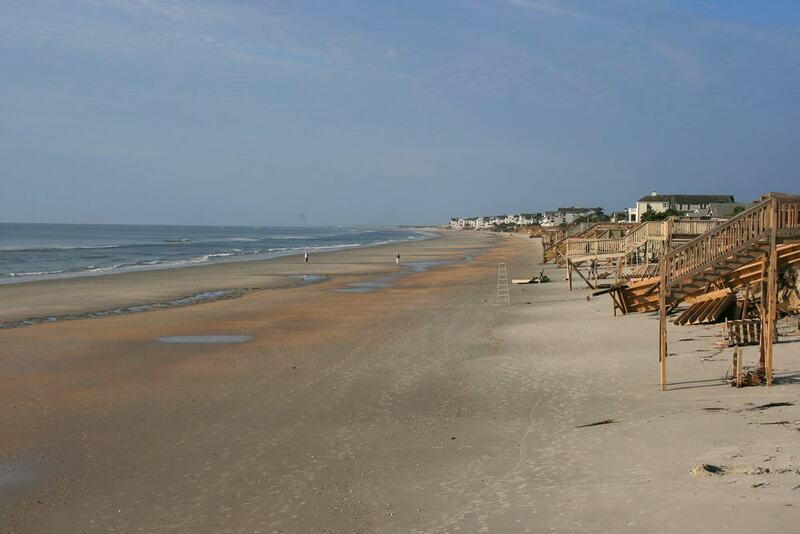 Featuring a 4-mile stretch of the Atlantic Ocean, Seabrook Island is actually divided into two main beaches. Pelican Beach is more popular among vacationers because of its amazing sunset views, while North Beach also has its charms in terms of rolling sand dunes and great swimming conditions. Some of the main attractions on the island include a tennis court, a big equestrian center, and two championship golf courses. 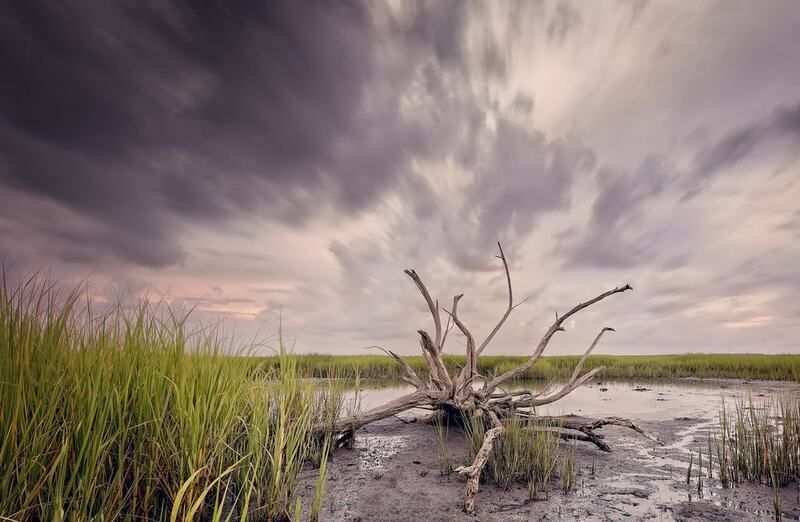 Although Seabrook Island is located just a short drive from Charleston, it still manages to preserve its natural beauty and peacefulness. 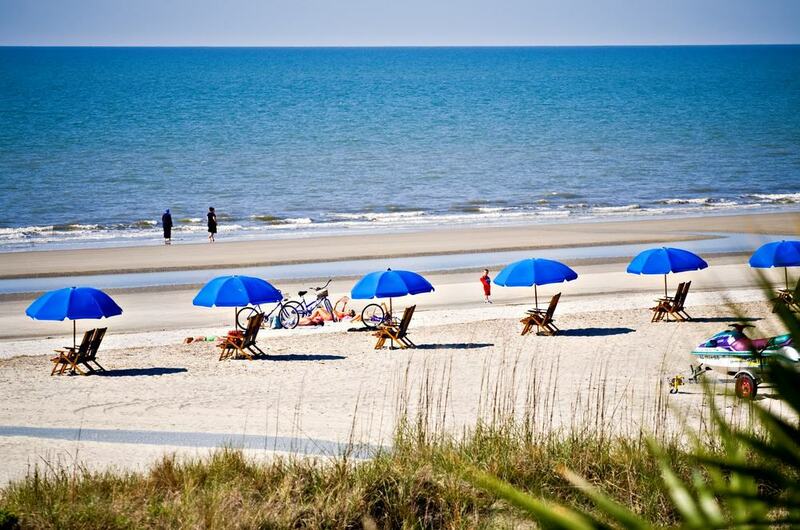 Situated near the Chaplin Community Park on Hilton Head Island, Burkes Beach is one of the best family-friendly beaches in the state. The best way to reach it is by cycling, as there are both paved and sand trails that lead to Burkes Beach. You won’t find any restrooms on the beach, but there are several outdoor showers. When you get tired of all the beach activities, head out to the Chaplin Community Park that features a playground for dogs and a basketball court. 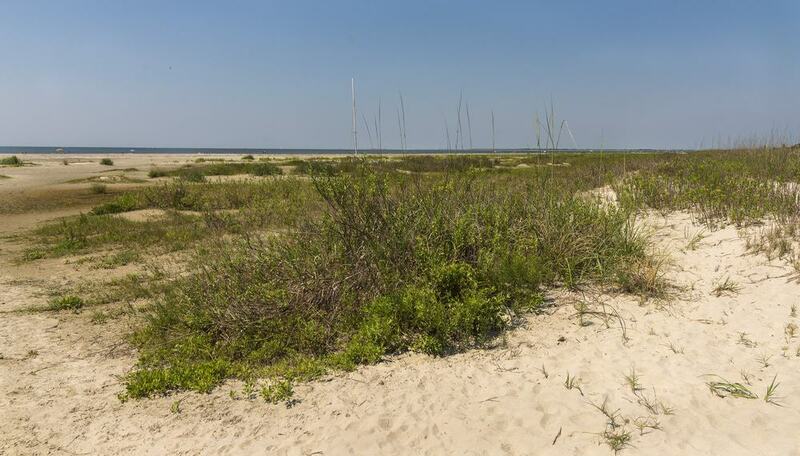 Yet another beach that is located in Hilton Head Island, Mitchellville Beach Park is a family beach that has plenty of free parking spots where the walk from the car to the sand only takes a couple of minutes. Vacationers will find restrooms and outdoor showers on the beach, as well as a small picnic area. However, water activities include only swimming and kayaking, but the soft sand is perfect sand castle building material for kids. Make sure to arrive early because the beach gets overcrowded by the afternoon, especially over the weekends. 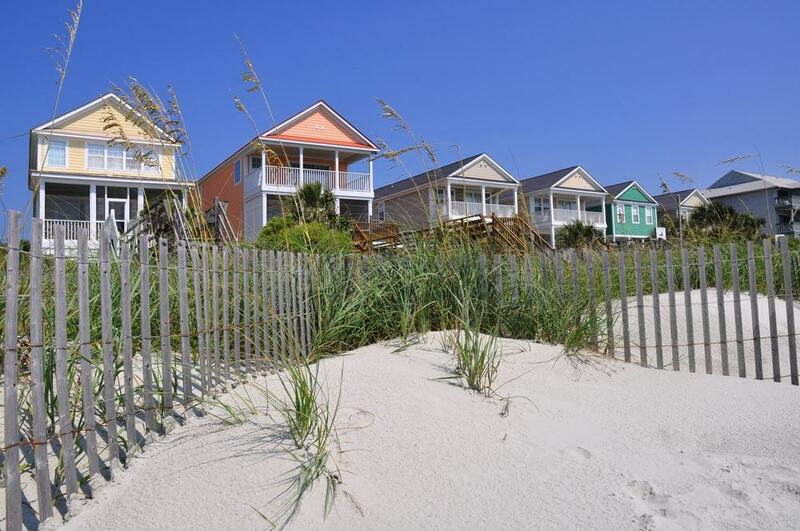 A lengthy white-sand piece of paradise, Surfside Beach is one of the top family destinations in the state of South Carolina. The beach can be accessed from over 30 different points and has a long popular boardwalk lined with bars, restaurants, and a fishing area. Fishing is also available at the fishing pier, but unfortunately, 50 feet of it was destroyed by Hurricane Matthew. Rental shops can be found here for comfortable beach chairs and umbrellas for some needed shade, but water activities are on the simple side, with only swimming as a real option. There are several hotels, resorts, and vacation rentals that are situated just a stones throw away from the beach, which makes for little effort to enjoy early morning or evening walks in the sand. There are also a couple of entertainment venues, bars, and great restaurants in the town of Surfside. 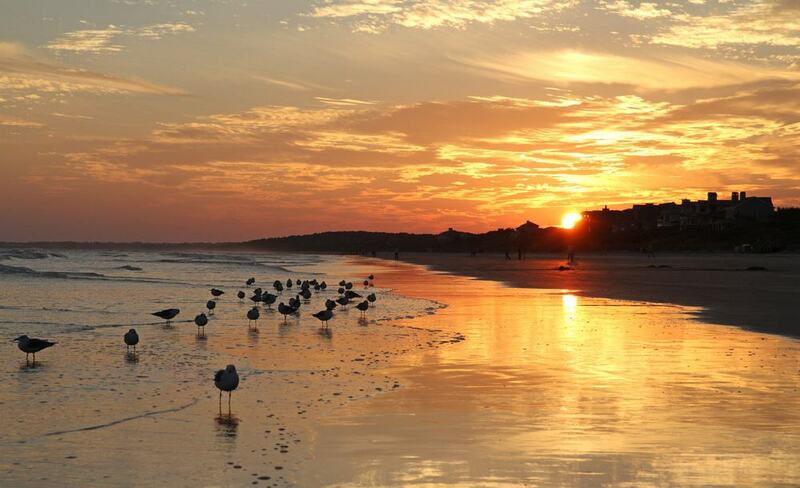 Litchfield Beach is situated approximately half an hour from Myrtle Beach and offers a quiet beach location. Here, you can enjoy activities such as kayaking, surfing, swimming, and fishing. There are only a couple of beach access points and parking is a bit tight, so make sure to arrive earlier rather than later or you’ll be searching for a parking spot for longer than you ideally want. This 1.5-mile long stretch of white sand never gets crowded, even during the weekends and throughout the summer months. If you are looking for a place to relax, unwind, and have some privacy, Litchfield Beach is the place to go. Located right between Little River and North Myrtle Beach, Cherry Grove Beach is a tiny, but beautiful patch of sand, that is full of interesting landmarks and things to do. Check out the pier or have lunch and drinks at one of the lovely local restaurants on the popular strip. One of the main activities here is definitely fishing and the Cherry Grove Pier holds several record catches. Even if you’re not into fishing, it’s still worth visiting to watch the pros in action. You can also fish at the Cherry Grove Inlet. Golfing is also a popular pastime at Cherry Grove Beach, there are a couple of golf courses in the area including Heather Glen and River Hills.